There are a lot of natural ingredient cosmetics available in the world. Japan itself has many. Today, let me introduce two products from a cosmetic company called CLUB Cosmetics. 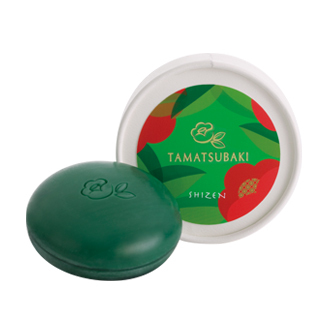 The first facial cleansing powder made in Japan with natural plant materials. 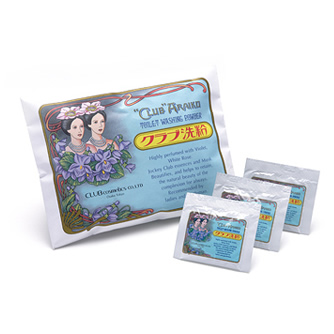 In 1906, the first CLUB Araiko products came on the market. At that time, foreign soap products were becoming popular among Japanese women. But CLUB Cosmetics challenged the cosmetic market with a domestically made soap. And as a result, CLUB Araiko made a monster hit and has been popular for over a century! I like this classically designed package. 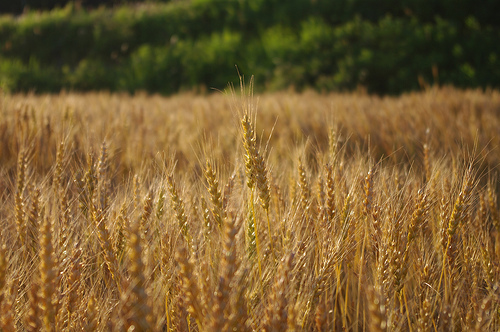 Wheat is useful not only for food, but also for cosmetics. This cleansing powder contains the natural starch derived from wheat seeds. The starch from wheat gently removes excess oil and dirt from the skin with less irritation, so even children and people with sensitive skin can safely use it. Contains camellia leaf extract, camellia seed extract, camellia flower extract and camellia oil from the virgin forests (of course it’s organic!) of the Goto Islands in Nagasaki prefecture. People valued “Goto camellias” very highly as fancy offerings to China in the era of envoys, and as a source for hair oil in the Edo period. Also, camellia oil is good to eat. 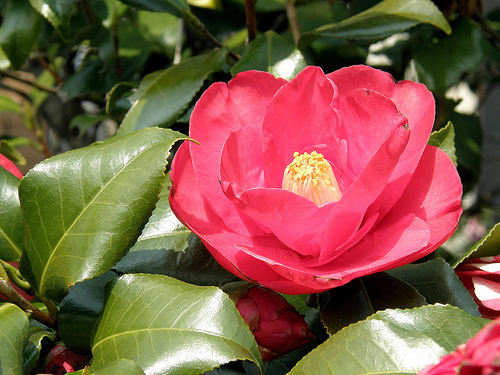 CLUB Cosmetics focused on the natural power of Goto camellias which are rich with oleic acid. Oleic acid keeps skin moisturized and healthy. I like this package as well. Kawaii (^^)! A great gift for your beauty from beautiful camellias. Cosmetics made with edible ingredients can be used on the skin very safely. In Japan, we have more cosmetics with natural ingredients like sake, rice bran, bamboo, and so on. I would like to write about them someday!